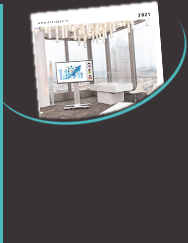 Erard Pro provides the adapted solution for your professional audiovisual equipment. 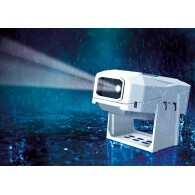 Outdoor installations such as the STORMER outdoor projector enclosure ensure high performance and durability. The robust design has been developed using materials and technologies to resist weather damage. High level weather-proofing is of primal importance for an outdoor enclosure and Erard Pro have produced a model which provides excellent protection from the elements. Every attention has been given to thermal control offering your projector the perfect ventilation even during intensive use. 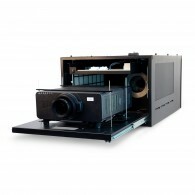 Easily maintained in optimal condition thanks to accessible filters, advantages of the STORMER projector enclosure also include features such as adequate space for the player, door opening which allows users to remove the projector as needed. Anti-theft locks mean you can keep equipment in place with surety. Available in Large and Extra Large models, the Erard Pro outdoor project enclosure with sliding plate and shelf is an ergonomic design that ensures operator comfort for the user. The standard enclosure comes in steel with epoxy paint finish which protects against corrosion. As with all Erard Pro projector mount and enclosure systems, you can opt for a different colour finish. 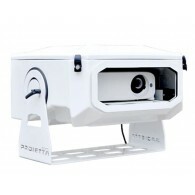 Additional options include a motorized projector sliding system. Erard Pro accompanies its high-end technology with added value service from start to completion of each product, holding true to its mission as a leading provider of quality screen and projector enclosure and mount systems. The French manufacturer puts its expert research team at your service for the best design and materials for each application. From contemporary eye-catching models to discreet, slim-line structures, our business customers trust our innovative solutions. 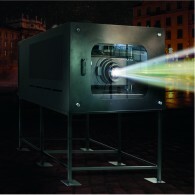 To learn more about the outdoor projector enclosure STORMER, please consult the fact sheet for further details on dimensions and composition and feel free to contact us with any queries or questions.